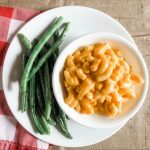 Are you looking for a team snack that the kids will go crazy for? 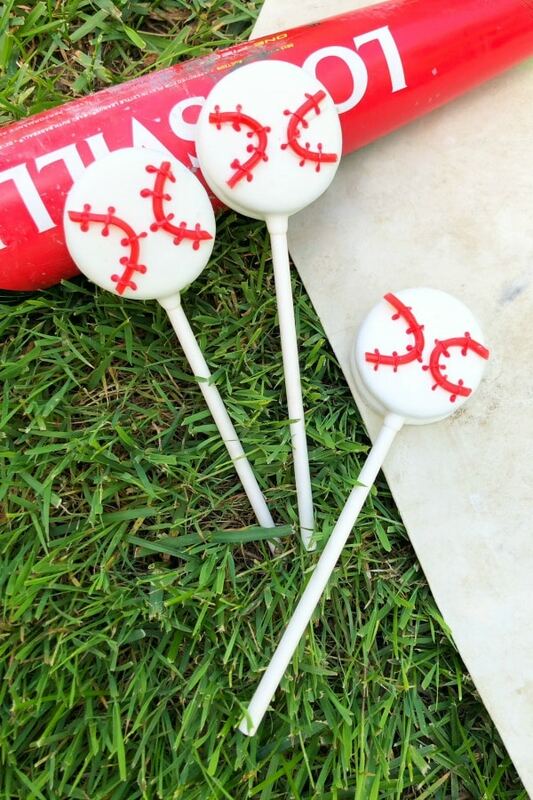 These baseball Oreo pops are it! After all, team snacks are part of the fun of playing baseball (or any other youth league sports, it seems). 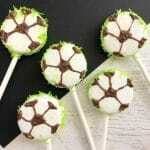 Once you get into the swing of it, you can make this cute baseball snack idea for lots of different sports like soccer, basketball and more. Our son played baseball for the first time this year, and I have to admit, we are in love. 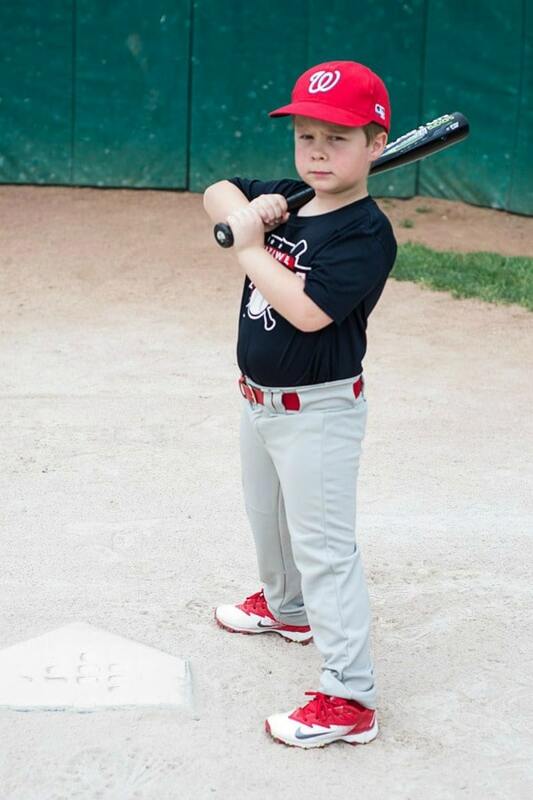 I don’t know why I was so hesitant to put him in sports for so long. Oh, yeah, some sports parents be crazy. But, I digress. He had an absolute blast playing coach pitch this year. He didn’t get his first hits until the last two games of the season, but I think that made it all the sweeter. He was so proud of himself, and the other baseball moms were just as excited as we were when he scored. Isn’t it great when you get on a team like that? You can see our little cutie in his Nationals uniform in the picture above. When Valentine’s Day comes around, don’t miss our Printable Sports Valentines. 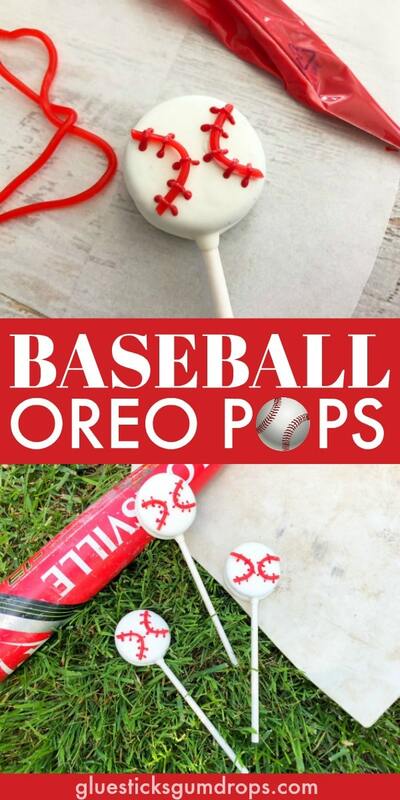 I wish I had thought to make these baseball oreo pops while we were still in the swing of baseball season, but at least I know how to make them for next year. 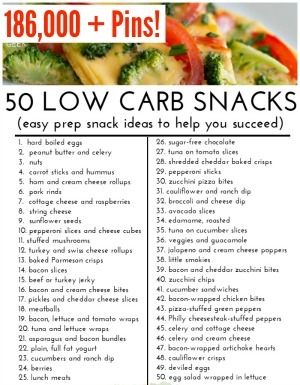 I can’t wait to bring these on snack day! 1. 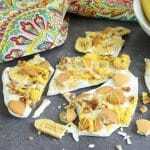 Lay out a piece of parchment paper onto a baking sheet. 2. Heat your white candy melts on 50% power for 3-4 minutes, stirring every 30 seconds until melted. 3. 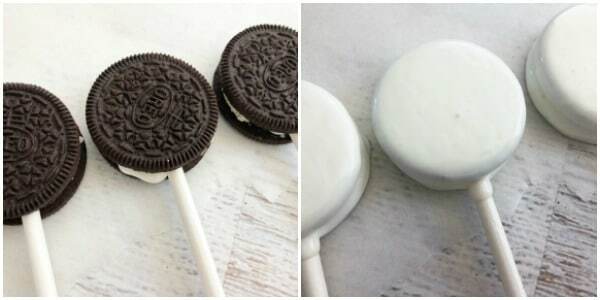 Open each Oreo, dip the end of each lollipop stick heavily into the melted chocolate and press your stick carefully into the white filling. 6. 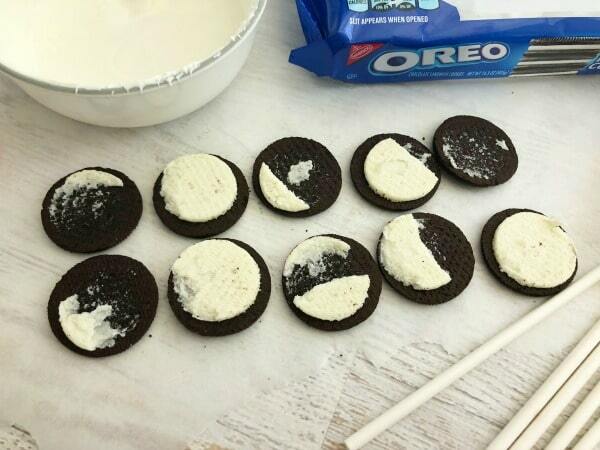 Place the Oreo pops onto your parchment paper lined baking sheet and transfer the sheet to the freezer for 10 minutes. 7. Heat your red candy melts on 50% power for 3-4 minutes, stirring every 30 seconds until melted, pour into a decorating bag and cut a tiny tip off the bottom. 8. 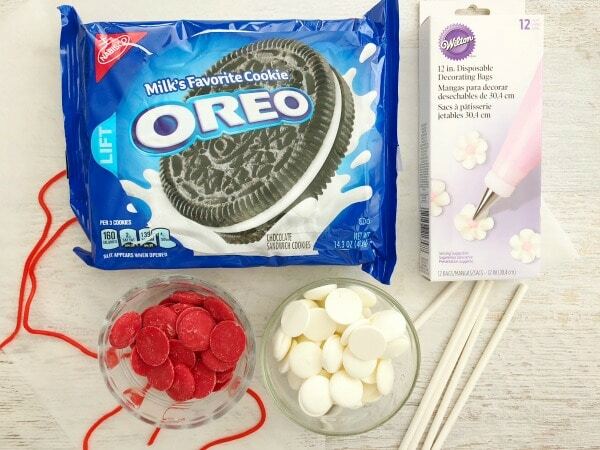 Cut your shoestring licorice into 1 1/2” pieces, dip on side into the melted white chocolate and carefully press onto each side of the Oreo pops in the shape of half circles for baseball laces. 9. 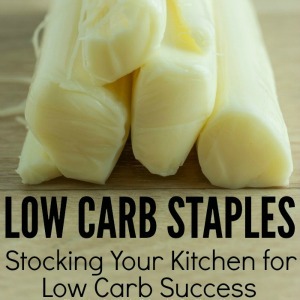 Use the melted red candy decorating bag to draw about 5-6 laces on each licorice strip and let harden. 10. Enjoy your baseball treats! 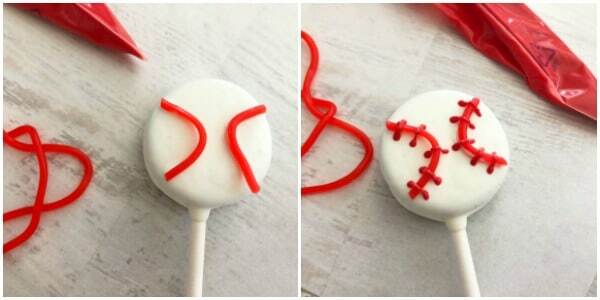 Have a fun baseball snack idea to share with us? 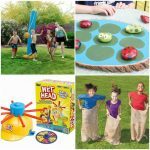 Let us know in the comments… we’d love to try it out next year!